Color: Dark, reddish - brown. Taste: Very mature and velvetly brew with a hint of sweet maltiness. Perfect mornig tea due to its high content of cofeine. Brewing instruction: Take about 3 - 4g of tea for about 200ml and put it in a tea pot. Boil fresh water and pour over the the. Allow 3-5 minutes for tea to infuse. Serve tea in cup. Product highligths: Assam is the largest tea producing area in the world. Situated in the valelly of the mighty Brahmaputra river, tea bushes give high yield all the year arround. A very special tea from uniqe region, such as Assam tea, is made from local tea bush variety, known as Chamellia Assamica. It rises larger and thicker leaves if compared to chinese tea plants and, therefore, the crop intake is huge. Today Assam region produces tea suitable for tea bags and ortodox tippy leaves, which are highly priced for ensuring very memorable and distinctive brew. Like Darjeeling teas, the best tippy tea sorts are sold under the garden name and unblended. 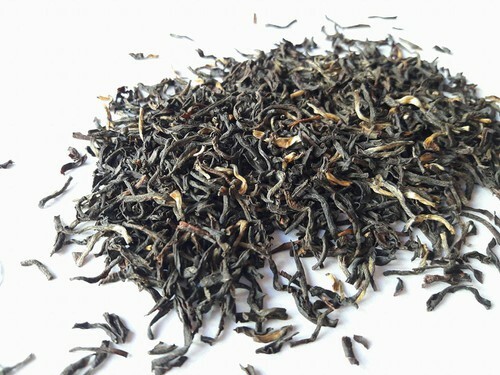 Assam tea is a tradictional part of classical british tea blend „ English Breakfast”. Good Assam tea can be perfectly enjoyed the British style – with milk.